How is Umbilical Cord Lining Collected, Processed and Stored? - Cordlife Technologies Pte. 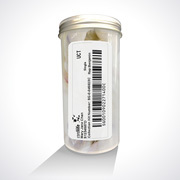 Ltd "
How is Umbilical Cord Lining Collected, Processed and Stored? After your baby’s cord blood has been collected, your obstetrician or midwife will clamp and cut a segment of the umbilical cord lining. This cord lining will be stored in a sterile container provided in your Umbilical Cord Lining Collection Kit. 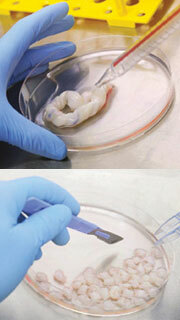 The umbilical cord lining collected is then sent to Cordlife's laboratory for processing and cryopreservation . Prior to umbilical cord processing, the identity of the umbilical cord lining collected is verified by our laboratory technologist to ensure that the unit belongs to the right client. 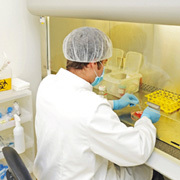 All subsequent steps are performed in a biohazard safety cabinet to further eliminate the risk of contamination. Next, the umbilical cord lining is further processed, cleaned with wash buffer solution and segmented into small pieces. 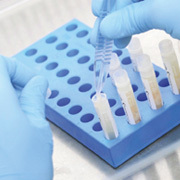 The sterilized tissue sections are then transferred into multiple cryovials added with cryoprotectant solution to safeguard the viability of the stem cells in the cord lining sections during cryopreservation. 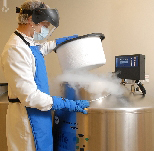 Once the cryoprotectant solution has been added, the cord lining sections are frozen gradually in the controlled-rate freezer to preserve the viability of the stem cells. 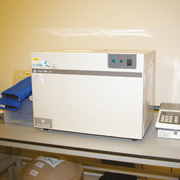 After the controlled-rate freezing process, the cryovials are transferred into a MVE vapour-phase liquid nitrogen storage system for long term cryopreservation at -190°C.